Lenovo System X3550 M5 - CPU E5-2620 v3 (1x 6 Core 2.4GHz, 15M Cache)/ Ram 8GB DDR4/ Raid M5210 (0,1,10)/ Option HDD 2.5"/ PS 1x 750W/ Rail kit. 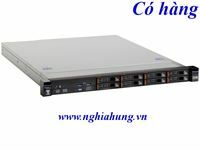 HDD: Option HDD SAS/SATA 2.5"
" Hãy liên hệ với chúng tôi để có giá tốt nhất "
Up to two Intel Xeon processor E5-2600 v3 product family CPUs with 18 or 16 cores (2.3 GHz core speeds); or 14, 12, or 10 cores (up to 2.6 GHz core speeds); or 8 cores (up to 3.2 GHz core speeds); or 6 cores (up to 3.4 GHz core speeds); or 4 cores (up to 3.5 GHz core speeds). Two QPI links up to 9.6 GT/s each. Up to 2133 MHz memory speed. Up to 45 MB L3 cache. Up to 24 DIMM sockets (12 DIMMs per processor). RDIMMs and LRDIMMs are supported. Memory types cannot be intermixed. Memory speed up to 2133 MHz. 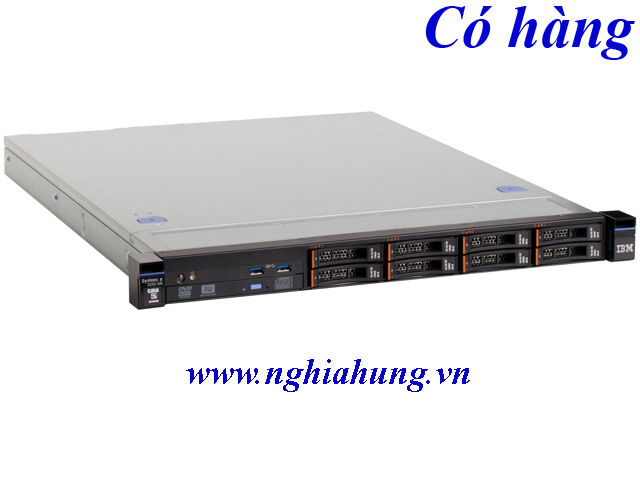 Onboard 6 Gb SATA: no RAID support 12 Gb SAS/SATA RAID: RAID 0, 1, 10 with M1215 or M5210. Optional upgrade to RAID 5, 50 is available for M1215. Optional upgrade to RAID 5, 50 is available for M5210 (zero-cache; 1 GB non-backed cache; 1 GB, 2 GB or 4 GB flash-backed cache). Optional upgrade to RAID 6, 60 is available for M5210 with memory cache upgrades.